In Store & Online: Get a 25% Rue 21 Coupon when you sign up to get their emails. (Bottom Of The Page) Your coupon will look like this. Get a free undie with any bra purchase at Rue 21 Stores. Coupon is valid today and Sunday. 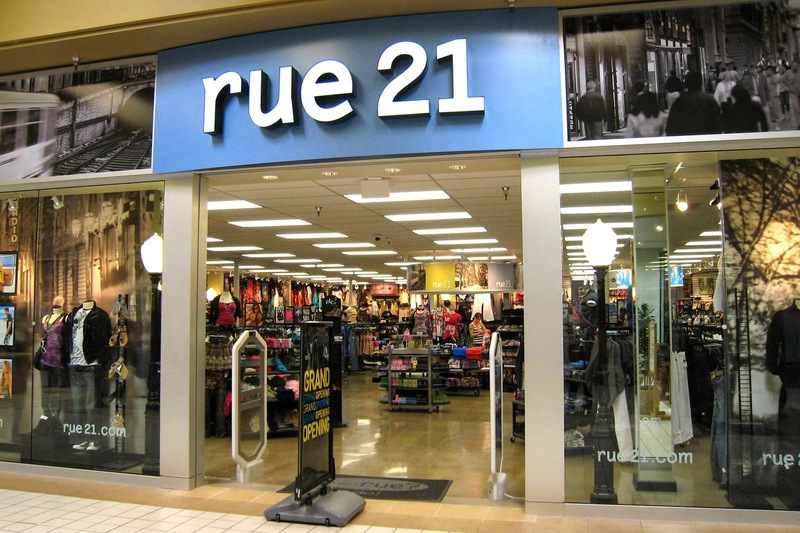 Get a $10 discount on every $30 you spend at Rue21 stores. Wow! Awesome coupon from Rue 21. Print out this coupon and get a $20 discount on your entire in store purchase over $50, $30 off $75, $40 off $100, or $60 off $150. Enjoy up to a $60 discount in store on purchases over $150. Save 60% when you buy items in their clearance department. Buy any fragrance of $9.99 or more and receive a 30% discount on your in store purchase of $40 or more. Printed coupon must be presented at the time of purchase..